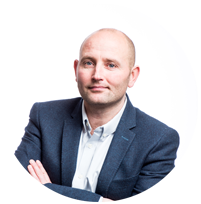 Gary is responsible for all facets of the business including strategy execution, creating a positive environment and ensuring we deliver a great customer experience. A business leader with 30 years of experience across a broad range of IT, Software and Communications businesses. As CFO Nicki is responsible for driving Peppermint’s financial vision, planning and compliance. 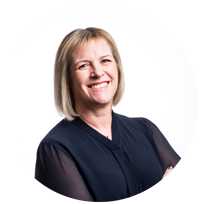 Nicki is a Chartered Accountant with a wealth of experience and strongly believes that Finance should partner with the business to deliver a great customer experience. Mike leads the Innovation, Product and Engineering teams. 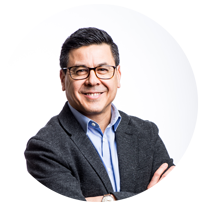 Mike is passionate about using technology to address everyday challenges and has 25 years experience delivering innovative enterprise software including pivotal roles at Thomson Reuters Elite and founding FWBS. 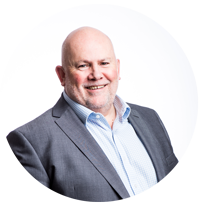 With over 25 years of experience across a broad spectrum of ITC organisations, Tony leads Peppermint’s sales and marketing efforts, creating high quality and trusted long term relationships with our clients. Chris is responsible for Product Management, Development and QA, ensuring our software is delivery-ready, easy to implement and easy to consume. 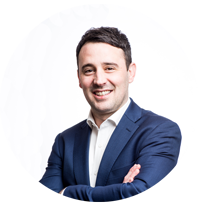 Chris is passionate about helping law firms to digitally transform their businesses and thrive in a rapidly changing market. 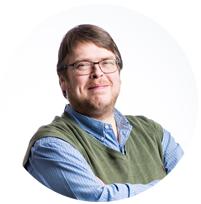 Rich is a Microsoft Certified Specialist & Professional Development Manager, blending deep technical knowledge with an acute awareness of end-user needs. With 20 years’ experience in legal software development, including 9 at Peppermint, Rich is the longest serving employee! Neil is responsible for driving Customer Satisfaction externally and Customer Advocacy internally. 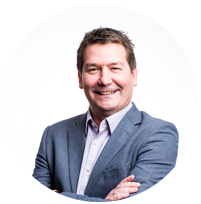 Having spent over 20 years’ in legal technology, Neil has a wealth of experience from both the client and services side. Emily works in partnership with the business to deliver a people strategy that enables the Peppermint team to execute brilliance for our customers. 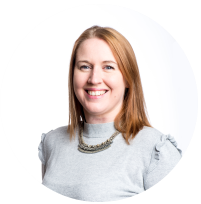 Emily has over 15 years experience in People and Executive Coaching roles. It’s brilliant working here. I started here 6 years ago as a Test Analyst. I've recently become a QA Lead which is fantastic career development for me. It shows that the company is invested in their staff. I have more responsibility now, more people management and coordination role for the off shore team. The main part I enjoy about working at Peppermint is the challenge. I get the opportunity to use new technology and keep learning on the job. We use new technology stacks to keep our product in line with the latest tech developments. The variety is very good. You are exposed to every part of the production line from design meeting to post deployment and can have a real impact into this. Part of my role is being a voice for the client. Our ability to be responsive to our clients and work with them on innovative product developments is key. I really enjoy using my skills and knowledge in client engagements and often act as a sounding board to help them understand how best to approach their transformation project and software configuration. My role has evolved quite significantly since I started at Peppermint. I began as a tester and have developed into a Product Consultancy role. Peppermint is a small enough company for you to be able to know everybody at all levels. The positive energy trickles down from the top. Everybody has got the same kind of optimism about what we do and everybody's got a common goal – customer success. Everything that a law firm does, our product is built and designed to make their lives easier. Working at Peppermint appealed to me because we know where we are going and what we are doing. Working in the Development team is really good. Since joining, I've been impressed with how involved I have been in the whole product life cycle. One of the most interesting aspects of working for Peppermint is the variety in my role. The diversity in the work that I do every day keep it fresh and interesting for me. Whether it's the range of different development projects or getting involved in marketing activities, it's these different streams of work and ways of thinking that present the interesting new challenges.